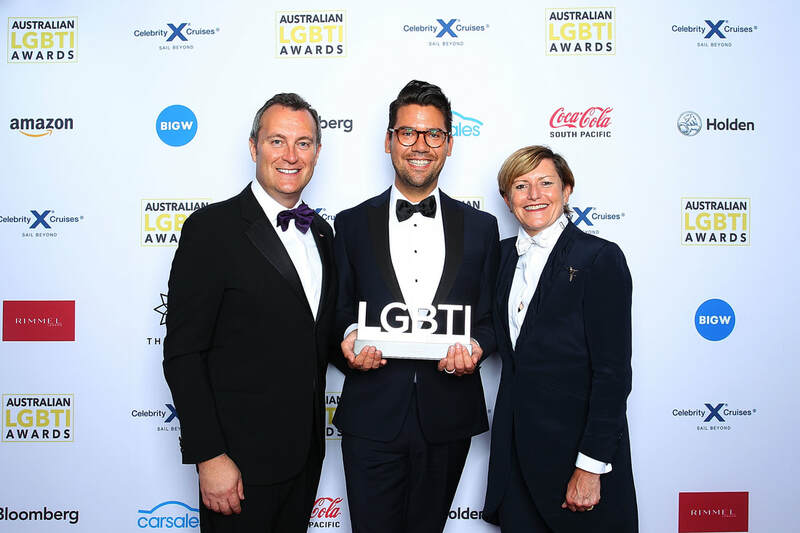 Dow Chemical sponsored the Australian LGBTI Awards last Friday night as the company continued its long-standing commitment to diversity and inclusion. Dow was the chief presenter of the new ‘Diversity Champion’ category, which recognised an individual who enacted positive change within their company throughout all areas of diversity, and particularly in LGBT+ initiatives. The inaugural winner, Ross Wetherbee, Organisational Development Manager, Diversity & Inclusion and Performance at Commonwealth Bank, said the Diversity Champion award helps to raise awareness of the work being done by individuals and businesses around Australia to tackle LGBT+ issues and challenges. “The award is an opportunity to acknowledge and appreciate the efforts being made by everyday Australians, who are often unseen, behind initiatives that drive significant change,” Mr Wetherbee said. Louis A. Vega, President Dow Australia & New Zealand, and Vice President, Olympic & Sports Solutions, said the company’s focus on employee diversity laid the foundation for its success in the marketplace. “Through driving a culture of equality and inclusion in the workplace and the communities in which we operate, we are working to guarantee that our 120 year old company continues to be a world leader in innovation,” Mr Vega said. Dow Chemical is a Supporting Sponsor of the Australian LGBTI Awards, and the only manufacturing sponsor in the mix. “We’re also proud to support and celebrate those who champion diversity and to recognise their efforts by presenting the new Diversity Champion award,” Mr Vega continued. “All of the nominees in the Diversity Champion, and across all categories, have made significant positive changes within their organisations and across the broader LGBT+ community.